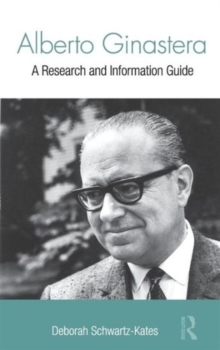 Alberto Ginastera: A Research and Information Guide is the first bio-bibliographic study of the composer and the only published book on the subject in English. 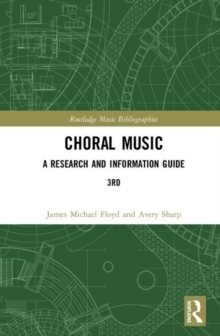 This work fills a critical gap in contemporary music studies by enriching our knowledge of one of the most compelling creative voices of the Americas. Given the lack of prior systematic attention to Ginastera, this book establishes a firm foundation for future scholarship. It includes a detailed biographical sketch of the composer that quotes extensively from his letters. It summarizes the defining features of his style and encompasses his infrequently explored late works. It offers the most comprehensive catalogue of Ginastera's music to date and provides an annotated list of his published writings. 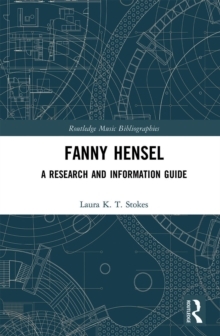 This book contains over 400 annotated bibliographic entries that refer to critically selected sources in English, Spanish, French, German, and Italian. The last chapter offers new information about archival holdings and internet resources that facilitates research on this composer. An appendix featuring a detailed chronology of Ginastera's career completes this work.